NAUGATUCK — Jane Frances (Lawlor) Tuohy, 94, the widow of Neal Tuohy, Sr., whom she was married to for 55 years, died peacefully on July 15, 2017 at Glendale Center, surrounded by the love and comfort of her family. Jane was born on Sept. 12, 1922 in Waterbury, a daughter of the late Martin and Ruth (Bosworth) Lawlor, and attended Sacred Heart Grammar School and High School. She was a retired employee of the footwear division of Uniroyal, Inc. and was a parishioner of St. Francis of Assisi Church. Family was most important to Jane and she loved her family dearly, she also loved gardening, traveling, going to the theatre and dining out in restaurants. Jane was an avid sports fan, especially the Red Sox, UConn and Saratoga. 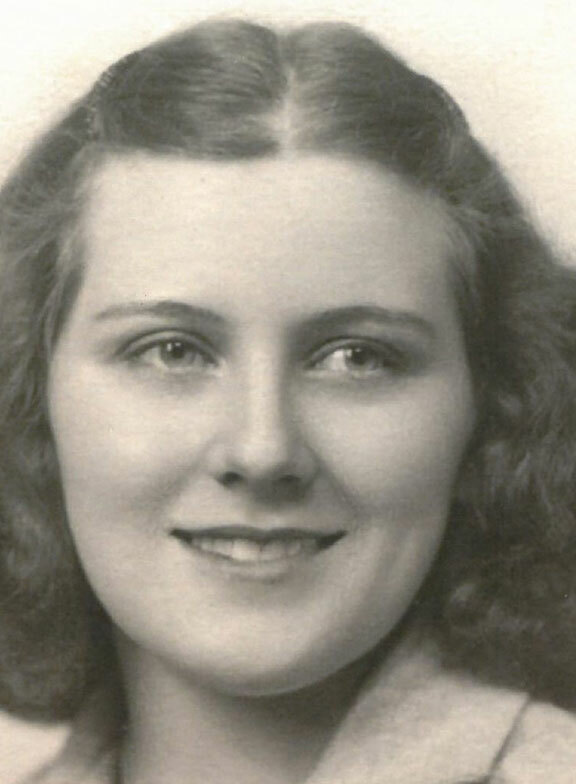 Jane is survived by her children, Neal Tuohy, Jr. of Naugatuck; Ruth Ann Ceryak of Bethany; Dennis Tuohy and his wife, Leah, of Bethany and Deborah Hutton and her husband, John, of Suffolk, Va.; her son-in-law, Howard Sterling; her grandchildren, Tammy Gaylord and her husband, Edward, Kathleen Teta and her husband, Pat, Paul Ceryak and his wife, Wendy, Brian Ceryak and his wife, Regina, Jane Wishneff and her husband, Erik, Rebecca Guay, Michael Tuohy and his wife, Letizia, Ward Sterling and his wife, Kerri-Ann, Philip Sterling, Jonathan Hutton and his wife, Meghan, Gregory Hutton and his wife, Meghan, and Sarah Hutton; her great-grandchildren, Danielle, Jason and Jaden Teta, Raina, Bailey and Chelsea Ceryak, Riley, Grayson and Avery Wishneff, Travis, Sarah and Megan Guay, Brianna and Olivia Tuohy, Isabelle, Nicholas, Sean and Victoria Sterling and Virginia and Waverly Hutton; her sister, Marta Gosselin and her husband, Chuck, of Florida; her sister-in-law, Catherine (Tuohy) Stack and her husband, Bill, of Florida and several nieces and nephews. In addition to her parents and her husband, Jane was predeceased by her daughter, Nancy Sterling. Jane’s family would like to extend their heartfelt appreciation to the staff at Glendale Center and especially to the caregivers in the Rosebud wing. A Mass of Christian Burial will be celebrated on Tuesday, July 18, 2017 at 10 a.m. at St. Francis of Assisi Church, 318 Church St., Naugatuck. Burial will follow in St. James Cemetery, Naugatuck. Calling hours are Monday, July 17, 2017 from 6 to 8 p.m. at the Buckmiller Thurston Mengacci Funeral Home, 82 Fairview Ave., Naugatuck. In lieu of flowers and to honor Jane’s memory, contributions can be made to St. Jude Children’s Research Hospital, 501 St. Jude Place, Memphis, TN 38105. To leave an online condolence, visit www.buckmillerthurstonmengacci.com.